If you can get any gift you’ve been wanting to have, what would it be? Now here's the thing: it doesn’t have to be tangible (perhaps a gift of writing or art or cooking, etc). I'd really like an artistic kind of gift myself. T-T Perhaps the gift of music to play the piano or the gift of art to draw... Of course I know that I just need to practice practice but I can wish anyway, can't I? :3;;; As for normal gifts, I normally like getting books. Just need someone to give me the gift of limitless time to read them all. XD How about you? And the Advent Calendar is open until December 31st! For me, my family and I used to always put up our huge Christmas tree every year and get to decorate it and everything, making sure the lights work, and it was just a warm feeling having it in the living room. But then, when we moved, we stopped doing it because there's just no room, and it's not really the same. Still, fond memories though. <3 How about you? Hello everyone, this is your sporadically/almost rarely here mod. How has real life been treating all of you? Good I hope. Anyway, I know at Colors TCG, we're all very focused on anime, manga, video games, and so on. But! Do you have any favorites outside of that, such as in RL that we sometimes get sucked back into now and again either against our will or otherwise? Books, movies, TV shows, etc. Maybe not your favorites if you can't think of them now, so maybe what you're into now? Hello everyone, we're into December already, so hope you've been enjoying the Advent Calendar! Just to remind you that Crosswords 36 is ending next week! Thanks and enjoy yourselves this weekend! The puzzle for this round was created by our very own Remus. :D It's another video game related puzzle, this time focusing on main characters of video games, and we have the decks of those characters~ (if that helps :3). Hope everyone had a wonderful Thanksgiving, but now... it's Black Friday, so let's hit shopping hard! Yay! 01 - You may fill out the crossword puzzle itself or give me text answers in a comment. 02 - Spaces and punctuation are omitted in the answers in the crossword puzzle itself. 03 - If it's a full Japanese name, the Japanese surname comes first. 04 - This round ends December 9th. I'll post a reminder next week! Nope I have not forgotten the reminder this week. And I haven't forgotten about the prizes for last round either. Just... need to find some time. You think with the extra hour, there would be time! T-T My apologies. Anyway, Crosswords 35 is closing next week! I'll catch up with things real soon, thanks! 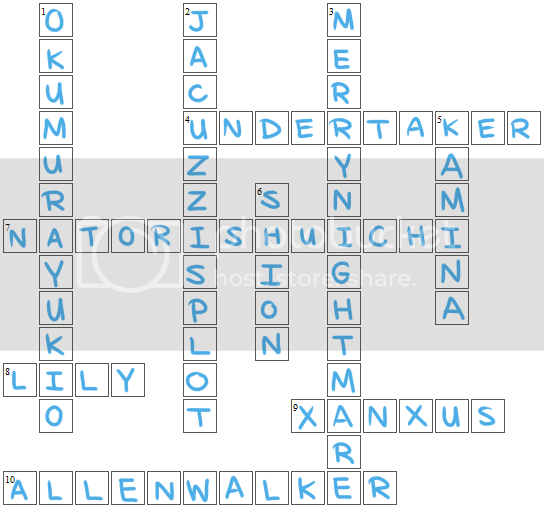 Anyway, the puzzle for this round was created by Mango, and it's focused on villains of the Final Fantasy series. Mango's hint was: I guess if this is ever used, a hint would be that these are all antagonists from the main games of the series. Meaning, none of them are from spin offs or sequels/prequels like Final Fantasy X-2 or Final Fantasy VII: Dirge of Cerberus. Yay! 04 - This round ends November 13th. I'll post a reminder next week! has ended! Hello everyone. 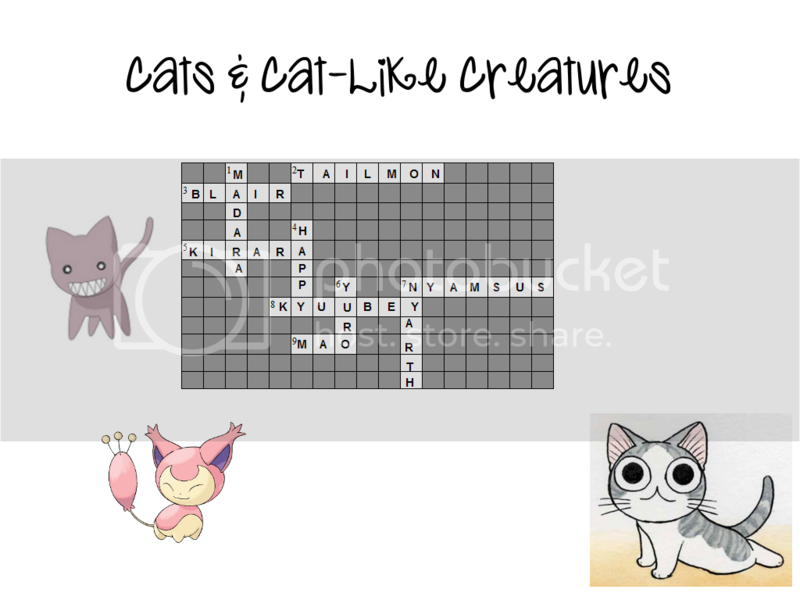 Very last minute post here with the next round, this time created by Meghan with the theme of Cats and Cat-Like Creatures! Though I'm more of a dog person (:3), I'm sure many of you will find this enjoyable. I hope so! The semester is picking up for many of us I suspect, so let's hang in there! 04 - This round ends October 30th. I'll post a reminder next week! has ended! Here is your weekly reminder that Crosswords 33 will be closing next week! Sorry about the delay in prizes for the last round; I'll definitely try to not make you wait so long! It's just that weekdays and Saturdays are pretty packed full of stuff... phew. Hello everyone! We're into October already~ That means some of us are already well into our semester, so we're probably feeling the stress and pressure (I know I'm feeling it!) 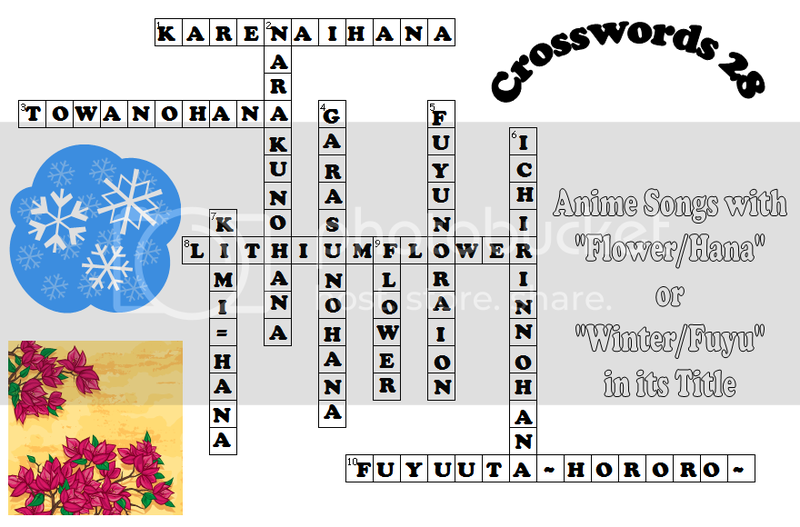 Anyway, enjoy yourself with a crossword puzzle, this time done by Hitomi! I'm real slow when it comes to Colors things lately, so I want to apologize for that first. 04 - This round ends October 16th. I'll post a reminder next week! has ended! Hope everyone is having/had a great weekend. Don't work too hard! John's puzzle focuses on character mascots who are part of either games or services here at Colors TCG. You need to provide the deck names as answers for the puzzle, so they DO have a deck created at the TCG. :) Another fun and creative puzzle, so I hope this will turn out better! 04 - This round ends October 2nd. I'll post a reminder next week! has ended! I just got swamped with things to do and completely forgot to post a reminder yesterday about Crosswords, but then I decided it's a good thing because today, I thought of more things to mention. 1) Crosswords 31 is open until Sunday, September 18. 2) Since this is a player-created puzzle, and I didn't check it thoroughly like I should (bad mod, bad), I am going to be very lenient about the answers. Whether or not it fits into the puzzle exactly or not is fine, just give me your answers however you like. At least two clues, I'll be accepting two different answers per for. And I was unclear about the directions about creating puzzles, and I will be sure to mention next time to leave out any and all spaces and punctuation in your answers (learning from my mistakes). No one will be penalized; I don't want that. Welcome to Colors League, Day 2, Game 2! I hope you all enjoyed working out the previous game yesterday. And here is today's game, brought to you by Mikan-tan. Art by Wolfie, thanks so much! 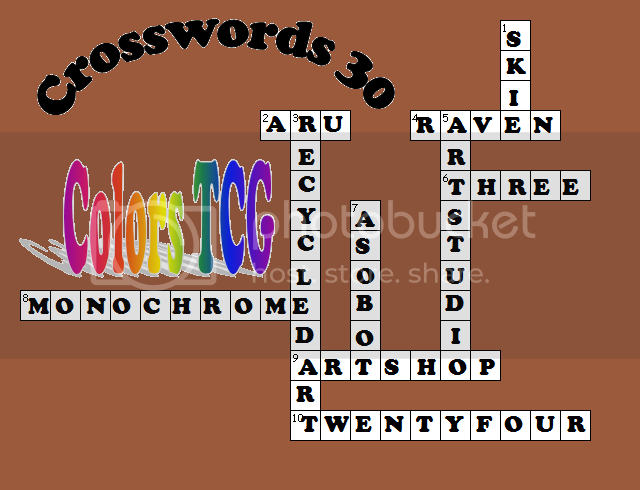 Mikan-tan found an interesting crossword kind of puzzle today that was in the shape of a "C" (for "Colors")! There weren't any clues around, so she decided to fill it in herself, and she wants you to try it too with your own words! The only "rule" is that the words you use must have a kind of color/colors associated with them. You may still sign up for Colors League here! And this post has our current teams. Anyway, this round's puzzle was created by one of our TCG members, Lazuli. I decided to use this one because there are time sensitive clues (meaning it could change in the future and therefore the answer would change), and I don't want that to happen. Lazuli's puzzle is also related to the Colors TCG, so yay~ If you enjoyed Round 30's, here, have another. :D (Note too that the creator of a puzzle CAN still respond and answer their own puzzles. o/) I'm also ending this on Sunday like normal, so hopefully the one day won't make too much of a difference. If it does, I can always extend this a day (since it was my fault to begin with), and just post regularly again in two weeks. [EDIT] *NOTE* I will be more flexible when it comes to answers during these player-created crossword puzzle rounds, since I was not the one who created these puzzles. Just input the answers as best as you can, and if it's close to the answers that were provided, then I'll accept them as correct. 02 - Spaces and punctuation are omitted in the answers in the crossword puzzle itself. As pointed out, in this player-created puzzle, there are some punctuation and/or spaces that was left in. I apologize for that, so please do your best and trust your gut feelings when it comes to answers for this one. I'll be flexible. 04 - This round ends September 18th. I'll post a reminder on Sunday! has ended! 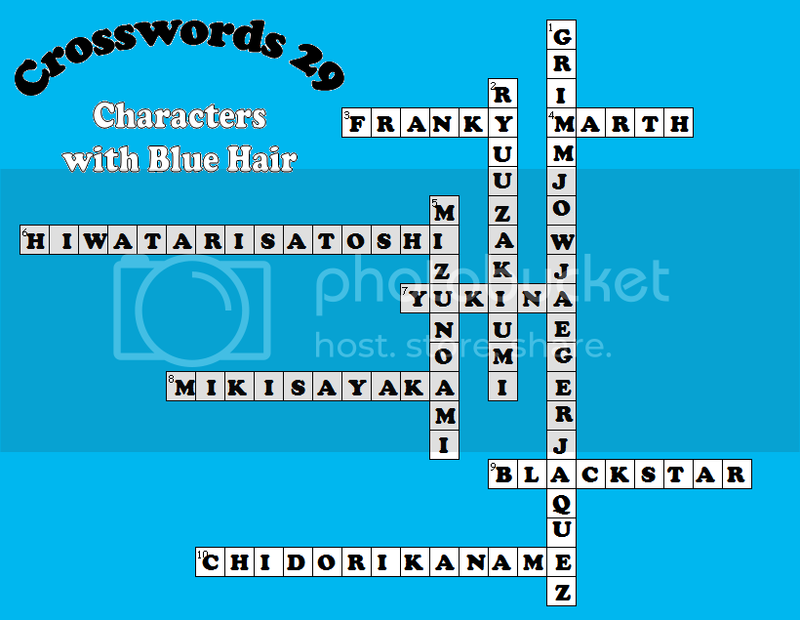 Anyway, just a reminder that Crosswords 30 is still open until next week, as is the "Make your own crossword puzzle!" portion of the round. :D I'll pass out everything next week to avoid confusion. 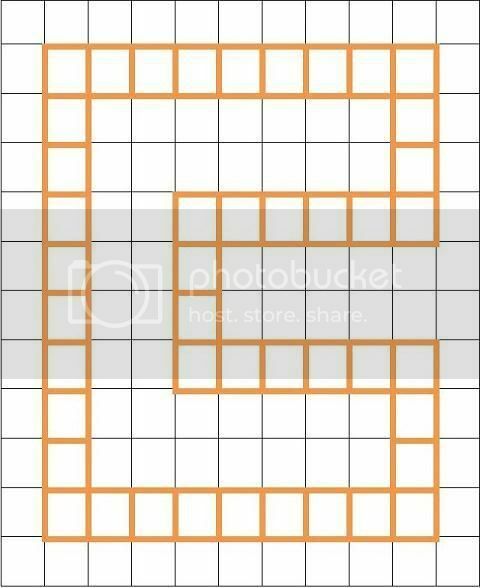 Crosswords 30 - Special Round! 1) A fun little crossword puzzle like always, but this introduces some basic things about the TCG and unofficial cool things found at the trading comm in order to help some new members who might have joined recently-ish. For all your veteran players, this will be a snap. 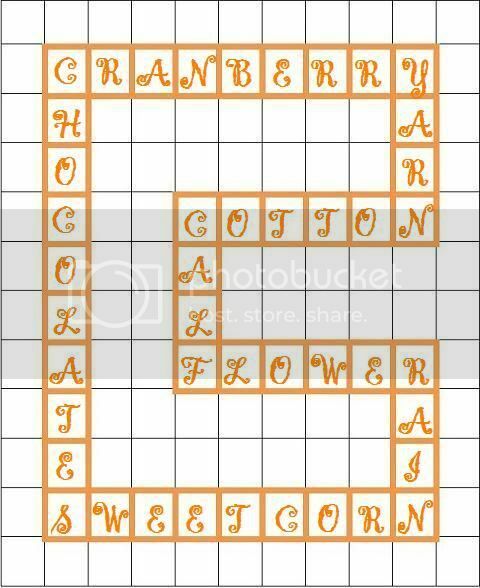 2) Bolding this, so you don't miss this opportunity~ For this round, and this round only (so far), you have a chance to create a crossword puzzle to potentially be used in future rounds! Wait, wait, let me explain. Lucathia and I have talked about this way back when, and I decided for a special round (THIS special round), you will all have a chance to create a crossword puzzle like I do. a) It can be about anything anime/manga/game related, TCG-related, any theme, any little thing your creative mind can come up with. b) There MUST be 10 words in the puzzle. c) You MUST provide me in a comment below your clues, your blank puzzle (uploaded somewhere and with any graphic extension, i.e. .jpg, .png, etc) and your answers to the puzzle (filled in or text). If you have any questions or any need for clarification, drop me a comment too! 04 - This round ends September 4th. I'll post a reminder in a week! has ended! Getting to the real end of summer and the start of classes again hm? Well, I'm here to remind you that Crosswords 29 will be closing next week! Glad some of you are enjoying this round! Good luck! 04 - This round ends August 21st. I'll post a reminder in a week! has ended! Glad to see that all of you are still around even though LJ has gone through (and still going through) some issues. I almost couldn't update my card post because of that but slowly catching up now. Anyway, a reminder that Crosswords 28 is closing next week. Flowers and winter songs. Flowers and winter... flowers in winter?